"O'Briens" redirects here. For other uses, see O'Brien (disambiguation). Throughout the time that the Ó Briain's ruled in medieval Ireland, the system of tanistry was used to decide succession, rather than primogeniture used by much of feudal Europe. The system in effect was a dynastic monarchy but family-elected and aristocratic, in the sense that the royal family chose the most suitable male candidate from close paternal relations—roydammna (those of kingly material) rather than the crown automatically passing to the eldest son. This sometimes led to bitter quarrels and in-family warring. Since 1542, the head of the Ó Brian house adopted primogeniture to decide succession of noble titles instead. The Ó Brian emerged as chiefs of the Dál gCais tribe from the south-west of Ireland — a cohesive set of septs, related by blood, all claiming descent in tradition from a common ancestor of Cormac Cas. In the Annals of the Four Masters, the father of Cormac Cas was said to be Oilioll Olum, who was according to tradition King of Munster and King of Leinster in the 3rd century. Such a connection would have meant that the tribe held kinship with the Eoghanachta who had dominated Munster since the earliest times. While founder mythologies were very common in antiquity and the medieval world, such a connection is generally regarded as fanciful and politically motivated in the context of the rise to prominence of the Dalcassians. Instead, academic histories generally accept the Dalcassians as being the Déisi Tuaisceart, after adopting a new name — first recorded under their newly adopted name under the year 934 in the Annals of Inisfallen. The Déisi, a people whose name means literally vassals, were originally located where today is Waterford, south Tipperary and Limerick; the O'Rahilly's historical model counts them as ethnically Érainn; the sept split into the Déisi Muman who continued to hold territory in Waterford and Tipperary, while the west Déisi controlled areas either side of the River Shannon. During the 8th century, the latter was further divided into the Déisi Deiscirt and the Déisi Tuaisceart who would become the Dalcassians. Prehistoric ancestors of the Déisi Tuisceart and Dál gCais may have been a once prominent Érainn people called the Mairtine. It was during this century that the tribe annexed to Munster the area today known as Clare and made it their home. Taken from the weakened Uí Fiachrach Aidhne it had previously been part of Connacht but was renamed Thomond (Tuamhain, meaning North Munster). 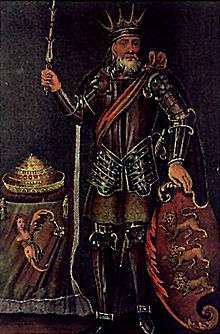 After gaining influence over other tribes in the area such as the Corcu Mruad and Corcu Baiscinn, the Dalcassians were able to crown Cennétig mac Lorcáin as King of Thomond, he died in 951. His son Mathgamain mac Cennétig was to expand their territory further according to the Annals of Ulster; capturing the Rock of Cashel capital of the Eoghanachta, the Dalcassians became Kings of Cashel and Munster over their previous overlords for the first time in history. Mathgamain along with his younger brother Brian Boru began military campaigns such as the Battle of Sulcoit, against the Norse Vikings of the settlement Limerick, ruled by Ivar. The Dalcassians were successful, plundering spoils of jewels, gold and silver, saddles, finding "soft, youthful, bright girls, booming silk-clad women and active well-formed boys". The males fit for war were executed at Saingel, while the rest were taken as slaves. Through much of his reign Mathgamain was competing with his Eoghanachta rival Máel Muad mac Brain. Mathgamain was only defeated in the end by a piece of treachery; he believed he was attending a friendly meeting, but was betrayed at Donnubán mac Cathail's house, handed over to his enemies and executed in 976. The crown of Munster was briefly back in the hands of the Eoghanachta for two years until Brian Boru had thoroughly avenged his brother, with the defeat and slaying of Máel Muad in the Battle of Belach Lechta. The following year Brian came to blows with the Norsemen of Limerick at Scattery Island where a monastery was located. Whilst all parties were Christians, when their king Ivar and his sons took refuge in the monastery, Brian desecrated it and killed them in the sanctuary; the Vikings of Limerick had earlier killed Brian's mother. Following this the Dalcassians came into conflict with those responsible for the death of Mathgamain, the Eoghanachta represented by Donovan and Molloy. A message was sent to Molloy, where Boru's son Murrough would challenge him in single combat; eventually the Battle of Belach Lechta took place where Molloy along with 1200 of his soldiers were slain. Donovan was destroyed together with Aralt, his brother-in-law and Ivar's remaining son, newly elected king of the Danes and Foreigners of Munster, in Donovan's fortress of Cathair Cuan, which Brian razed. With this Brian Boru was now the King of Munster. Brian's rise did not go unnoticed, however; Máel Sechnaill II from the Clann Cholmáin sept of the Uí Néill, as reigning king of Mide and High King of Ireland marched an army down to Munster to send a warning to the Dalcassians. His army cut down the tree of Magh Adhair, which was sacred to the Dalcassians as it was used as their site of royal inaugurations. 1 2 O'Dugan, The Kings of the Race of Eibhear, 9. 1 2 3 4 5 6 Duffy, Medieval Ireland, 121. 1 2 Fitzpatrick, Royal Inauguration in Gaelic Ireland C. 1100-1600, 36. 1 2 3 Koch, Celtic Culture, 554. 1 2 3 Frances Cusack, Ireland, 294. ↑ Corbishley, The Young Oxford History of Britain & Ireland, 82. ↑ Lydon, The Making of Ireland, 31. ↑ Fitzroy Foster, The Oxford History of Ireland, 37. Cusack, Mary Frances (1868). Ireland. Plain Label Books. ISBN 1-60303-630-X. Corbishley, Mike (1998). The Young Oxford History of Britain & Ireland. Oxford University Press. ISBN 0-19-910466-2. Lydon, James F (1998). The Making of Ireland. Routledge. ISBN 0-415-01348-8. O'Dugan, John (1999). The Kings of the Race of Eibhear. Gryfons Publishers & Distributors. ISBN 0-9654220-6-2. Fitzroy Foster, Robert (2001). The Oxford History of Ireland. Oxford University Press. ISBN 0-19-280202-X. Fitzpatrick, Elizabeth (2004). Royal Inauguration in Gaelic Ireland C. 1100-1600. Boydell Press. ISBN 1-84383-090-6. Duffy, Seán (2005). Medieval Ireland. CRC Press. ISBN 0-415-94052-4. Koch, John T (2006). Celtic Culture. ABC-CLIO. ISBN 1-85109-440-7.